Naples Real Estate,Naples Florida Homes For Sale as well as Condos and Condominiums in Southwest Fl. If you are in the market for Naples Real Estate then you will soon realize that you need a plan to focus on the many choices that await you. This is were one of our experienced agents at Lee Collier Realty is invaluable. One of the first considerations is the lifestyle you want; such as, do you want to live in a golf course community on one the Naples Beaches, have boat access, live in the country or a general neighborhood. Naples Homes range from luxury mansions to modest houses. If you are considering a Naples Condo or condominium then do you want a high-rise (10 stories or more), Mid-Rise ( 4 to 9 floors) or a Low-Rise (1-3 floors). Your Naples Real Estate search should be a pleasurable experience as these are important decisions that will affect the rest of your life. We look forward to being of assistance! Below are all Naples homes and houses listed on the MLS. Many properties are located in communities so that is why it is important to determine if you want to be in a gated community or not. If your are condisering Naples Foreclosures of homes or condos then you should use this link. Location, Location! Don't miss this beautiful pool home. Three bedrooms, two bathrooms with two car garage. Vaulted ceilings and travertine tiles throughout which mak ... More . If the idea of living in a single family home in an active community with ample amenities within minutes from your next day at the beach, shopping or evening of dinin ... More . 1 OF 2 homes with a $40,000 CDD PAID OFF! MOVE IN READY- This stunning detached villa situated with a beautiful lake view is located on a corner lot offering the futu ... More . Welcome Home! Beautiful 3 bedroom + den custom built Gulfstream home. Lovingly maintained by original owner. Nicely appointed with stack stone elevation, soaring ceil ... More . HOME IS COMPLETED!!!! Impeccable detailing and architectural elements designed by CWN Construction. Home features a spacious open floor plan with 3 bedrooms and an OF ... More . HUGE PRICE REDUCTION! This Ashton Woods home has 3 bedrooms, 2.5 baths and a spacious loft that can be used as a den or media room. The Coastal Floorplan offers an op ... More . Cute Beach Cottage on a beautiful lake with a deck and dock. 1957 charming home with original cabinets in the kitchen that were made before pressboard. Wood ceilings, ... More . This Lovely 2 Bedroom/Den, 2 Full Bath Villa, sits in the best location in the Community. Walk to the Community Clubhouse and enjoy what the Clubhouse has to offer. T ... More . WEST OF 41!! PRICE REDUCED....Fantastic Vanderbilt Beach Location!! Living is easy in this spacious two bedroom villa. The open floor plan features four sliding doors ... More . YOUR SEARCH IS OVER!! Beautifully maintained home in the popular Vanderbilt Country Club which boasts more than 320 acres of shimmering lakes, lush fairways, and natu ... More . WOW* RARELY AVAILABLE TPC GOLF INCLUDED**GOLF COURSE,FOREST & WATER VIEWS *2ND FLOOR DiANGELO FLOOR-PLAN 2 BEDROOM/DEN 2 BATH 1 CAR GARAGE** PROFESSIONAL DECORATED** ... More . THE LARGEST 2 BEDROOM UNIT IN VILLAGE GREEN!!!!! IN THE HEART OF OLD NAPLES, WALK TO 3RD STREET SHOPS AND DINING, THE PIER, 5TH AVE, OR THE CITY DOCK AND ALL THE SH ... More . MAJOR PRICE ADJUSTMENT!!! Attention golfers and boaters! One of a kind Windward Cay 'villa' in Naples' only gated golf community with a 72 slip deep water marina! The ... More . C.13358 New Roof January 2018! This beautiful ground floor coach home with two bedrooms, three bathrooms, den and spacious bonus room lives like a single family home. ... More . Enjoy the Panoramic Lake views from this beautiful bright and spacious 4 BDR 3 Bath Coach home with private elevator! The kitchen features granite counter tops and of ... More . NEW Lanai's April 2016 NEW Roof May 2016 NEW exterior paint August 2016 Pool redone September 2016 Hallways redone April 2016!! !Beautiful and close to the beach surro ... More . Beautifully updated ground floor condo.Interior features include tile throughout, updated impact windows, doors and sliders, updated kitchen and baths and a new washe ... More . 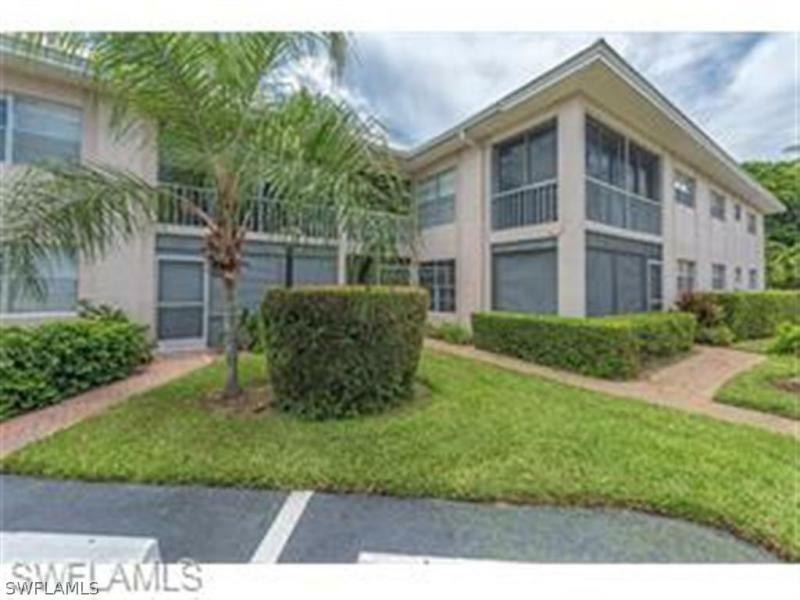 Imagine yourself living in the sought after community of Treviso Bay in this Furnished, three bedroom, two bath condo that lives like a single family home. With over ... More . This stunning second story coach home features its own private elevator and an attached two car garage. With over 2600 sq. ft. of open layout presents direct view of ... More . Here is an amazing opportunity to own a luxury condominium in the prestigious community of Westchester at Kensington Country Club. This 1st floor home is situated al ... More . You are able to search Naples Florida real esate and change the search criteria to find new listings of homes and condos for sale in all areas of Naples, FL.